As a driver, it's important that you understand when your car is trying to inform you about a problem. If you've never really known what your dashboard lights mean, this post can help. The number of dashboard lights you have to keep track of can get overwhelming, but getting to know at least the basics can help you feel more prepared to handle it. Below is more information about some of the most basic dashboard lights to help you on your way. 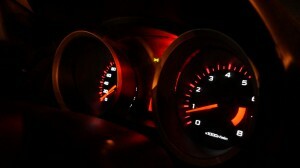 In general, dashboard lights will light up in one of three colors: red, yellow, or green. If you noticed that these colors coincide with those on traffic lights, you're completely right. The idea is to let the driver know how urgent an issue is through these colors. In general, green or sometimes blur dashboard light will turn on when a feature or operating system is in use. For example, when you turn on your high beams, a dashboard light will turn on to let you know this feature is on. When a yellow light comes on, your car is alerting you about an issue or a system that needs maintenance. This usually isn't urgent, but don't ignore it either. Finally, a red light will require your attention right away. When you notice a red dashboard light turn on, you're usually better off pulling over right away in order to prevent damaging your car or putting yourself in danger. Since the check engine light doesn't indicate an urgent problem, a lot of people tend to ignore it and just keep driving. While it's true that you don't have to pull over right away or suffer serious consequences, ignoring isn't the answer either. Since the light turned on, your car has clearly detected some sort of issue that needs to be looked at. When your check engine light turns on, your car may just need some basic maintenance, but the only way to know exactly what it needs is by getting the issue diagnosed. Head to your mechanic to get the issue diagnosed so you can get it fixed right away. When your oil pressure warning light turns on, pull over safely as soon as possible. Ignoring this light can result in serious and expensive repairs that could have been avoided. Whether you're running low on oil or your oil isn't able to circulate through the engine properly, it's not safe to drive your car in this condition. In fact, if you continue to drive while your oil pressure warning light is on your engine may even seize. Pull over, turn off your engine, and allow your car to cool down completely before checking on your oil. To keep your engine well protected, be sure to make your oil changes synthetic oil changes in Chambersburg, PA. A synthetic oil like AMSOIL's Signature Series 0W-40 Synthetic Motor Oil can keep your engine better protected for longer when compared to a conventional oil. To learn more about the benefits of using a synthetic oil, contact Cerberus Systems, Inc. at (717) 658-1256. You can also find more quality AMSOIL Oil products in their online store. Another light you definitely shouldn't ignore is your coolant temperature warning light. When this light turns on, your engine is basically on its way to overheating. Before any real damage occurs, safely pull over and turn off your engine. This will allow temperatures under the hood to cool down, helping to prevent engine damage. Once things are completely cool to the touch, check on your coolant. If you're running low, you may be able to top it off and make it to your mechanic. Your car may have a coolant leak, a broken fan, an issue with the radiator, or a number of other issues in the cooling system. Your brake system light may turn on for a number of reasons, but the main causes of this are that your parking brake is on or stuck, you're running low on brake fluid, or there's an issue with the anti-lock brake system. This usually isn't an emergency, meaning you can make it home or to your mechanic, but you shouldn't take any chances beyond that. If this light is on along with your ABS warning light, you're better off not driving your car because your brakes may not work as you expect them to. In order to keep your car running smoothly, be sure to give it synthetic oil change in Chambersburg at regular intervals. For help finding a great oil for your car, contact Cerberus Systems, Inc. at (717) 658-1256. They'll be happy to give you the personalized service you need when looking for the perfect synthetic oil for your engine.